Lillian Cantrell thanks Martha Berry for the cap she sent for the baby. 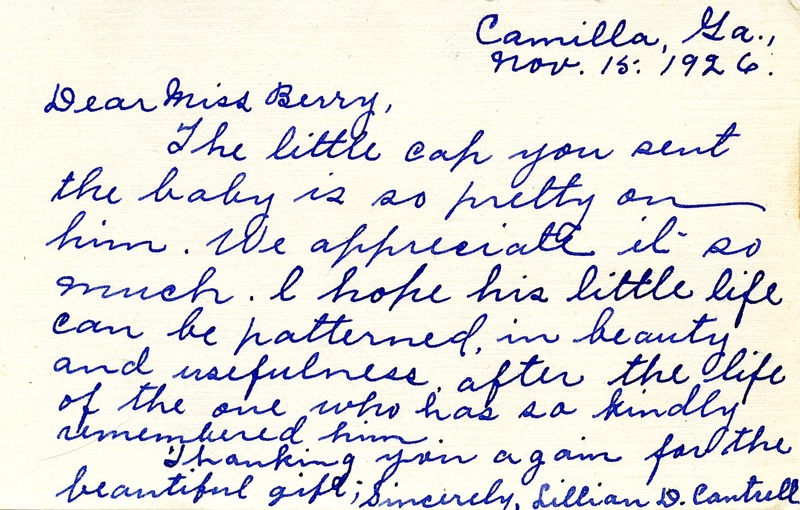 Lillian D. Cantrell, “Letter to Martha Berry from Lillian D. Cantrell.” Martha Berry Digital Archive. Eds. Schlitz, Stephanie A., Rachel Renaud, Kelli Kramer, et al. Mount Berry: Berry College, 2011. accessed April 24, 2019, https://mbda.berry.edu/items/show/948.